Even if you store your vehicle inside, you would be amazed at how many potential dangers still exist in a garage. That is why many owners of vintage and customized vehicles have invested in a car storage bubble. It is an extra layer of protection that provides you with further peace of mind. Excessive condensation can build up in your garage. This moisture causes pitting and discoloration. If you have any chrome plates, then those will begin to rust. The chances of this increase if you live in a humid climate. Californians near the coast need to be particularly wary. Fortunately, a car bubble comes with an evaporative storage system that changes the air inside three or four times every hour. This eliminates moisture while keeping the internal temperature consistent. It is rare for garages to be fully hermetically sealed. In a vast majority of cases, your car will still be susceptible to dust settling. Opening a garage door even for a few seconds allows outside contaminants to get inside. As time goes on, the paint job will look faded and dull instead of glossy. Every car storage bubble comes with a 100 percent nylon zipper that keeps everything from dust to rodents outside where they belong. Chances are high you keep more than just your car in your garage. Sports equipment, a lawnmower and bicycles can all topple over and scratch your vehicle. Fortunately, car bubbles are constructed out of durable PVC. It will not tear after a mild abrasion. You could even drop a five-pound hammer on the bubble, and it will remain intact. You invest a lot to maintain your car, so it only makes sense to protect your investment with bubbles or custom car covers. 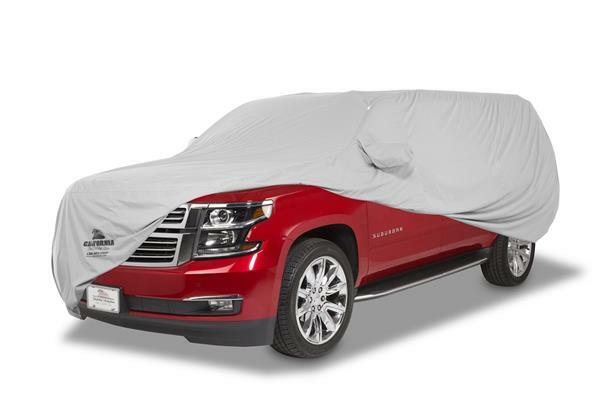 California Car Cover has a wide range of products to protect all kinds of vehicles.